Academy students receive hands-on instruction in many areas of law enforcement, including multiple levels of firearms training and defensive tactics. At the Law Enforcement Training Institute (LETI), we strive for excellence from everyone involved with our programs — faculty, administrators and students. In addition to our full-time faculty, one of the most distinguished and widely recognized groups of professionals in law enforcement training, we bring in experts to complement our curriculum. Whether it's a prosecutor or an emergency medical technician, specialists provide an outside perspective and give students a comprehensive look at each specific area of study. From top to bottom, our program is designed to produce well-rounded officers who are leaders in their respective fields. As a group, our students consistently score among the top three on the Missouri Peace Officers Standards and Training exams compared to students from other state academies, which means our graduates need less training once they are hired. That's good for you, and your potential commander. We set a higher standard for police training. Our students know they are getting the finest training in the nation, so do the departments that recruit them. LETI is successful because our dedicated faculty and students work together on mastering the principles that keep communities safe. 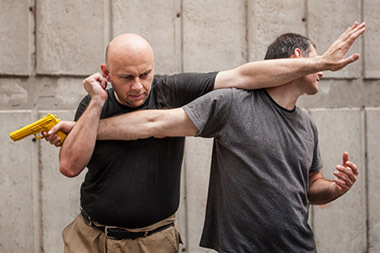 For more than 60 years, LETI has provided the finest law enforcement training in the nation. Next to the St. Louis Police Academy, we are the oldest provider of public safety training and education programs west of the Mississippi River. 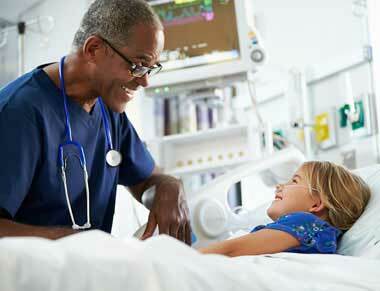 LETI is one of the few organizations of its kind to offer a full-time, dedicated staff and faculty. Established in 1948 at the University of Missouri, the Police Science Academic Program was one of the first academic police science programs to be offered anywhere in the United States. In 1968, we became the Law Enforcement Extension Program and began to focus on a higher level of quality and achieving more rigorous professional standards for law enforcement and public safety services personnel. In 1984, we developed the first Professional Administrative and Regulatory Investigators Training Program. And in the mid-1980s, our name changed to the Law Enforcement Training Institute, or LETI, which we are known as today. In 1979, the state of Missouri began mandating basic training for peace officers. 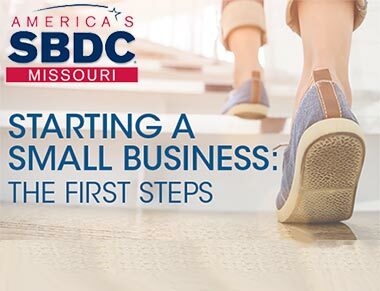 The new law stated that all peace officers must successfully complete a certified course of instruction from a training facility accredited by the director of the Missouri Department of Public Safety. In 1993, the Missouri General Assembly passed into law Senate Bill 268, which significantly raised the minimum basic training requirement for peace officers. including multiple levels of firearms training and defensive tactics. The previous training standard of 120 hours of basic training was the lowest in the nation. The bill raised the minimum requirement for peace officers to 470 hours, placing Missouri well above the national average of 427 hours of mandated basic peace officer training. The law also stipulated that all certified Missouri peace officers are required to complete 48 hours of continuing education and training every three years to maintain their certification. 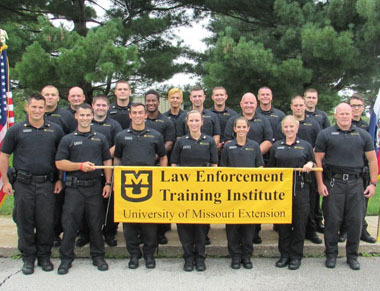 The changes in the state's peace officer training requirements have created new opportunities for law enforcement in Missouri, as well as for our programs at LETI. In addition to law enforcement training, we offer an array of other police seminars, civilian training and education programs. In 1990, LETI faculty and staff identified a lack of training available for animal cruelty investigators. With no national school and a high demand for education in this area, the first level of training for the National Animal Cruelty Investigations School was developed. In 1993, a second level was added. And in 1996, a third level was developed, completing the program. In 2000, we began offering a 600-hour Certified Basic Law Enforcement Training Program, which added a physical training component to our 470-hour curriculum. The two programs were offered simultaneously until 2006, when we phased out the 470-hour program. At LETI, we've always specialized in recognizing the current training and educational needs of the public services community and anticipating future needs. Initially, our primary goal was to teach those who protect and serve Missourians. However, our flexibility as an institution has allowed our land-grant mission to reach all 50 states and Canada. Today, recruits and veteran officers from across North America graduate from LETI programs and go on to become leaders in public safety agencies at the local, state and national levels.